Finally a new post, glad to see your beautiful images again! The story behind "Swimming in the Cenote, Yucatan"
Many other things to do, but of course that is no excuse to stop sharing our wonderful little planet. I will pick up where I left off, in Mexico. 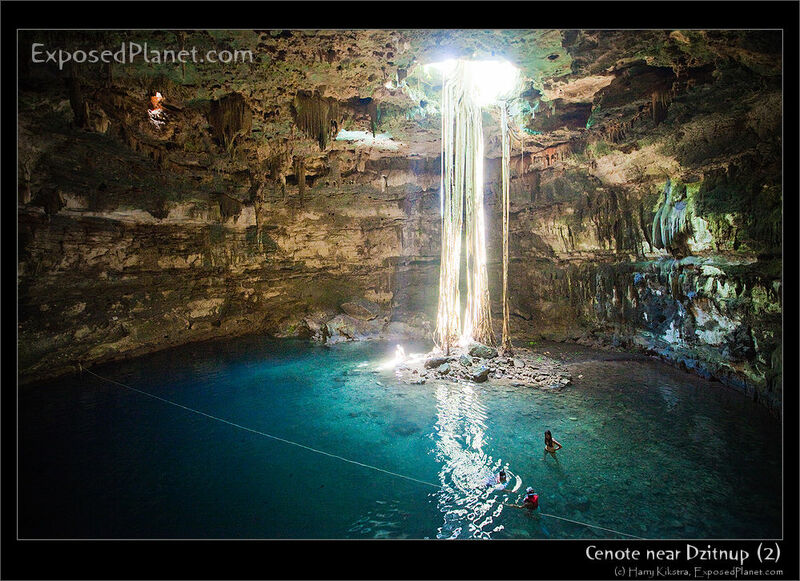 In the Yucatan peninsula are many of these so-called ‘cenotes’ or sink holes, where ground water and rain have eroded the soil under the rocky surface into giant caves. Some have collapsed and are now open, others are completely underground (and some are even connected through water-filled tunnels). Many were sacred to the Maya’s and treasures as well as human remains have been found in them. Mexico is a wonderful country filled with many cultural and natural wonders.